<table><tr><td>http://humphrysfamilytree.com/Cecil/Bitmaps/burghley.2.jpg</td><td>William Cecil was born 13 Sep 1520, the only son of [[Richard Cecil]] by his wife Jane Heckington. William was born "probably" (as Townsend and Sanford, op cit) at his grandfather's house in Bourne, Lincolnshire and christened there. He married first in 1541, against his father's wishes to Mary Cheke, by whom he had only one child, his son Thomas. Mary died and he married secondly in 1545 to Mildred Cooke, by whom he had three children: Anne, Robert and Elizabeth. He married first in 1541, against his father's wishes to Mary Cheke, by whom he had only one child, his son Thomas. Mary died 22 Feb 1543/4 at Cambridge; and he married secondly in 1545 to Mildred Cooke, by whom he had three children: Anne, Robert and Elizabeth. He was granted the manor of Coombe in 1552. William Cecil was born 13 Sep 1520, the only son of Richard Cecil by his wife Jane Heckington. William was born "probably" (as Townsend and Sanford, op cit) at his grandfather's house in Bourne, Lincolnshire and christened there. He was the prime minister during the reign of Elizabeth I, Queen of England. In 1569, he was granted the wardship of Edward la Zouche, 11th Baron Zouche as Edward's father had died that year. Edward's maternal grandfather was William Welby of Moulton, Lincolnshire. 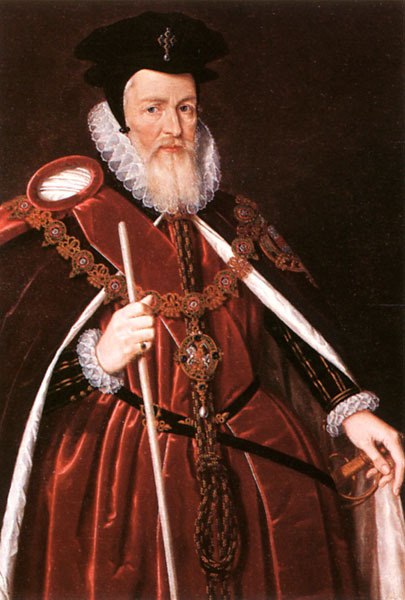 William Cecil, Lord Burghley died on 4 Aug 1598 at his house, Burghley House, in The Strand, London, England. 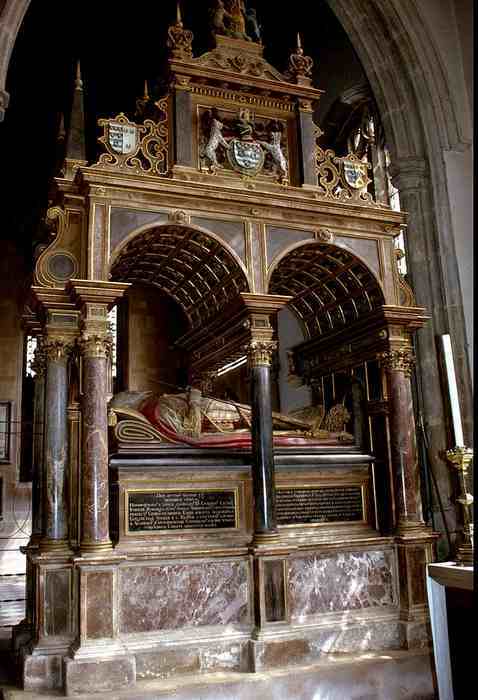 He was buried on 29 Aug 1598 at St Martin's, in Stamford Baron. The Princes in the Tower, by Alison Weir. Ballantine Books, New York. 1992 ISBN 0345391780 page 118 : In speaking of Eleanor Butler she says : "Lady Eleanor died shortly before 30th June, 1468, the day on which she was buried in the conventual church of the Carmelites in Norwich. Buck states that she had retired there shortly after giving birth to a child by the King, but there is no contemporary evidence for this. The child, said to have been known at first as Giles Gurney and later on as Edward de Wigmore, was supposed to have been the great-grandfather of Richard Wigmore, secretary to Elizabeth I's chief minister, Lord Burleigh." "Lord Burghley's Map of Lancashire"
This page was last modified on 31 January 2016, at 01:54.